Today there are many hair coloring options for you in case you are unhappy with your gray hair or your natural hair color. However, sometimes, people end up dyeing their hair too dark. If you have used a permanent dye, it could take at least 4-6 weeks for the color to fade naturally. However, all is not lost and you can try the following easy ways to fade permanent hair color. Tint remover or hair color removers are readily available online and offline. Color removers shrink artificial hair color molecules and take your hair back to its natural, lightest shade. You can use hair color remover easily at home to fade black or red hair dye in just 20 minutes, though stubborn hair color may take longer processing times. Hair color removers are completely safe and you can even use them for up to 60 minutes to fade hair color from dark to light. Another easy way to fade permanent hair dye quickly is through bleaching. Bleach powders are available in different strengths and they often contain ammonium and sodium persulphate along with fillers and alkali agents. It is best to consult a professional stylist when using bleaching agents. You can also mix bleaching powder with hydrogen peroxide to fade black or red hair color quickly. If you are not in much of a hurry to fade hair color from dark to light, then you can use the good old ‘shampoo’ method. Make sure to use a strong , clarifying or anti dandruff shampoo containing surfactants to remove the color build up. Avoid using fade-resist or color protecting shampoos and conditioners which are designed to make your color last longer. Shampoo often during the week and in no time will you have your have your hair color restored. This method works best if you can shampoo your hair as soon as you have dyed it. Another natural way to fade hair color that is too dark is to wash your hair using hot water. (Make sure the temperature is not too hot as it could damage your hair and scalp and strip off natural oils.) Shampoo your hair first and then rinse it with hot water. Follow up with a conditioner and wash off again with hot water. Use this technique several times a day to fade hair color quickly. Vinegar is acidic in nature which makes it one of the best natural and easy ways to fade black or red hair color without damage to your hair. Use diluted vinegar as a final rinse all over the hair and scalp. Let the solution sit for a few minutes before rinsing the hair clean. In case you are using apple cider vinegar, you can add a bit of it to half a bucket of water and pour it all over your hair. Let the excess drip off. Do not towel-dry or blow dry your hair. Instead, let vinegar dry off naturally. Do this several times a week post-shampooing and in no time, your hair color will lighten considerably. You can easily fade hair dye using baking soda, another natural and easy way to fade permanent hair color without damage. Shampoo your hair with a strong anti-dandruff shampoo. Leave the shampoo on for at least 5 minutes before rinsing clean. Next, make a paste of half a cup of baking soda and a few teaspoons of water. Apply this paste all over your colored hair. Let the soda work its magic for 10 minutes. Wash off using warm water. Follow up with a conditioner. Repeat 3-4 times a week to fade permanent hair dye. This is an easy way to fade hair color that has been dyed using henna. Henna is a semi permanent hair coloring product effect of which can last for up to 6 months. Commercially available henna is known to contain indigo which imparts a dark reddish hue to hair. In order to fade red hair color of henna, apply a mixture of olive and coconut oils to the hair. Literally soak your hair in the oil and leave the oil on for 12 hours. Next morning, wash off using a strong shampoo and conditioner. Repeat 3 times a week or daily until the red color has faded completely. You can easily use dish detergent such as Dawn® to lighten and fade hair color. The strong cleaning properties of dish detergents strip off the color buildup in hair. Apply the product to wet hair and leave on for 3-4 minutes. As you wash your hair, you will see the color running down the drain. Avoid prolonged use of dish detergent as it can be very harsh for the hair’s delicate structure. Lemon juice is a natural bleaching agent which helps fade hair color and lighten hair. Mix the juice of 2-3 lemons with some water and spray the mixture all over the color treated hair. Sit outside in the sun for at least30 minutes or up to an hour. Next, wash off your hair with a strong shampoo and follow up with a conditioner. This is a natural method of fading hair color and especially a wonderful way of lightening dark brown hair. 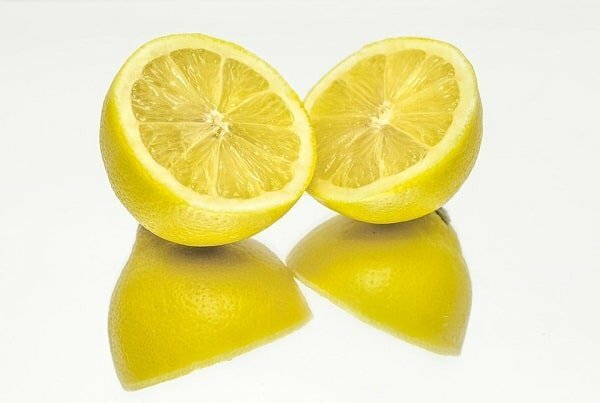 Avoid using lemon juice for prolonged periods on hair as it is very acidic. Honey contains hydrogen peroxide which makes it one of the best natural ingredients to lighten and fade hair color. It also moisturizes your hair and can help you keep blond hair shinier too. Mix honey with water or vinegar and apply all over the hair. Leave it on the hair overnight and wash off next day. Chamomile tea lightens brown hair considerably but you need to use it several times a week diligently to see results. Boil water and steep 5-8 chamomile tea bags in it for 15 minutes. Mix the tea with some yogurt and apply the mixture as a hair mask all over the color treated hair. Wash off after half an hour. This method works best for brunette hair color. Cinnamon can lightly and gently lighten dark hair dye. It is a natural method of fading hair color without any damage. 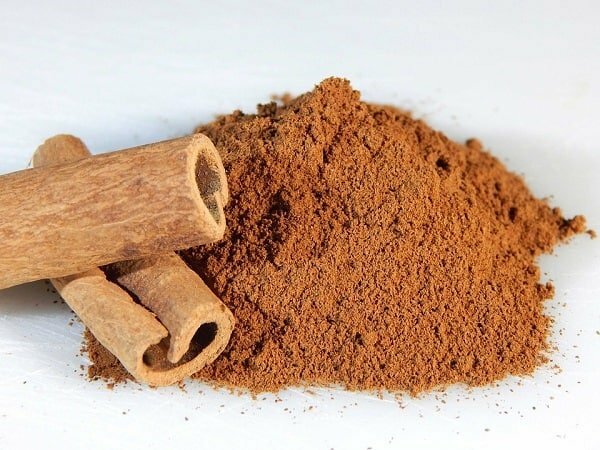 Mix cinnamon powder with some conditioner and apply it all over the hair. Wash off after 3-4 hours or, if possible, leave it on overnight. Repeat application 3-4 times a week to see results. Rhubarb is a natural herb that can fade permanent dye in blonde, strawberry blonde or honey or champagne blonde colors. 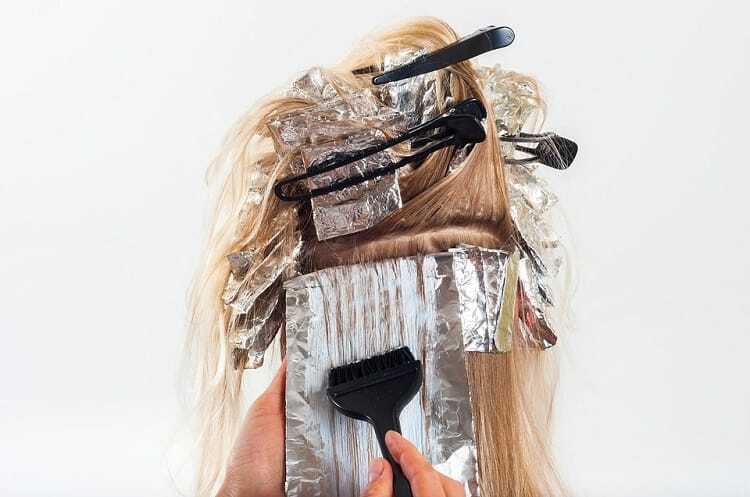 This method of fading hair color can even be used on mousy brown hair or blonde hair that is turning gray and dull to add a natural shine to it. Make a rhubarb dye by boiling dried rhubarb root in water for 15 minutes. Steep the mixture overnight and strain it the next morning. Test the color and then use it as a rinse for your color treated or natural hair. Leave the rinse on for 15 minutes. Wash off and follow up with a conditioner. Your hair will be much lighter than before. Beer is a great product to lighten and fade hair color. Make sure to use a light beer and apply it all over the hair post-shampooing. Beer can also condition your hair and fix the damaged hair structure. Rinse off after 30 minutes. The next time you end up with a bad hair dye job, use these natural and easy ways to fade it.